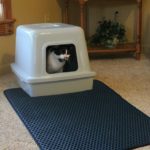 Blackhole Cat Litter Mat With Dual-Structure Review - Does It Work Well? 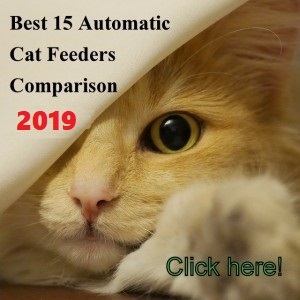 Blackhole cat litter mat offers a dual-structure design created with two layers of EVA foam rubber that reduce dramatically litter tracking in your house. 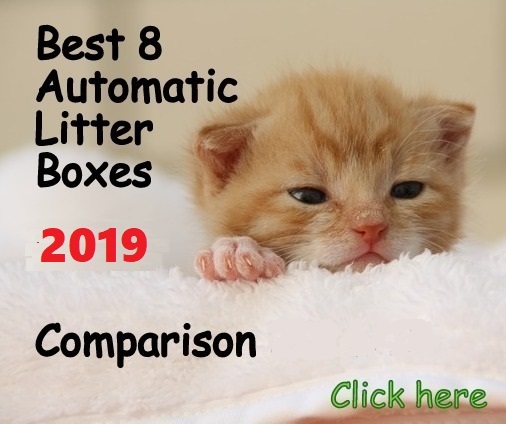 The top layer features honeycomb openings that trap the litter from your cat’s paws which goes onto the bottom layer where the litter stays until cleaning. 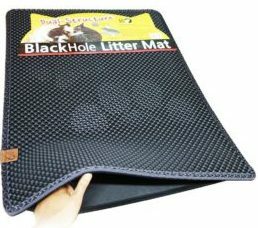 Blackhole litter mat is durable, made from solid and non-toxic EVA foam rubber which is safe for your cat. The mat is easy to carry for cleaning with its 2-lbs weight. Blackhole’s foam rubber layers are sewn on the sides creating a sort of pocket, but leaving both ends open so you can shake off the litter from one of the ends. 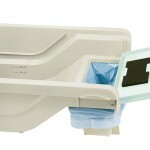 You can dump the litter back in the box if you want or dump the litter directly from the mat into the trashcan. 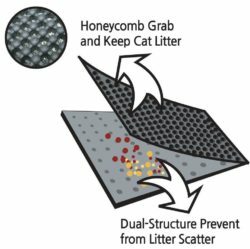 The honeycomb shaped openings of the top layer have a diameter approximately of ¼ of an inch so it works for most litters. 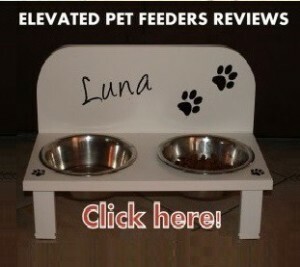 The Blackhole litter mat comes in 3 designs: Rectangular, Medium Square, and head shape. The rectangular shape is the biggest with a dimension of 30” x 23” which is suitable for multi-cat households or if you have a big room where to place it. 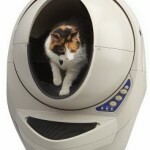 The Medium Square and Headshape have a dimension of 23″ x 21″ and they are suitable for small rooms or a single cat. The mat has bumps next to the honeycomb-shaped holes, which makes it hard on the cat’s paws. It doesn’t have non-slip back. The mat still shows some litter that gets caught between the bumps next to the holes. √ Try to clean the mat often because the openings fill up and the rest of litter will go onto the floor. 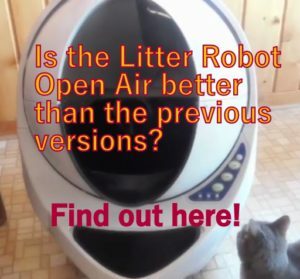 √ Before lifting the mat, have the litter box or trash receptacle close by so it’s easy to dump the litter from the mat without spilling onto the floor. √ Wash the mat with running water and dry it in the sun. Blackhole is a good cat litter mat that works as advertised. The mat helps to reduce litter tracking and the frequency of sweeping having to vacuum, but you will still have some litter out of the mat, just not as much. 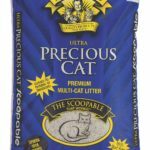 The percentage of reducing litter tracking it’s between 80% and 90% depending on the cat and the litter used. The surface of the Blackhole isn’t very soft so some cats with sensitive paws may find it rough to step on this mat and maybe due to this, some cats may avoid stepping on this unit. 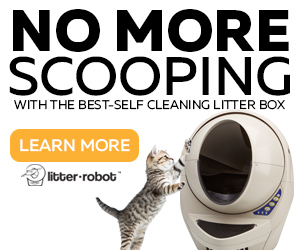 Any cat owner that wants to reduce the frequency of cleaning the cat litter box area. 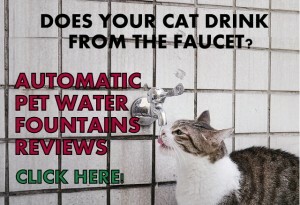 For long-haired cats with fluffy paws. 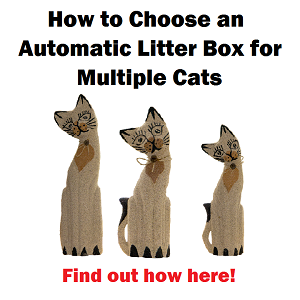 Used with enclosed litter boxes so your cat must step on the litter mat.